Hi, friends! 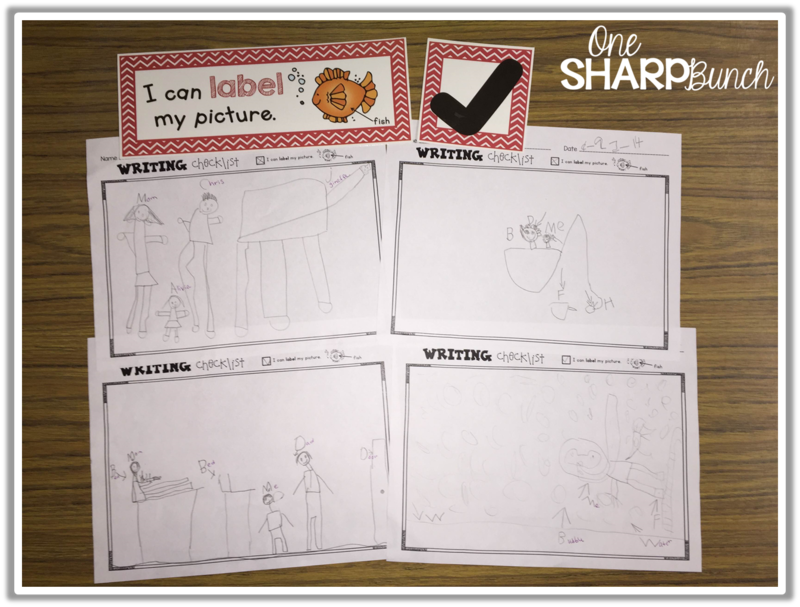 For the past decade, I have continually reminded students to label their pictures, stretch out the words, make finger spaces, begin with a capital letter, end with a period, and so on… does this sound a little familiar?!?! I was beginning to sound like a broken record! 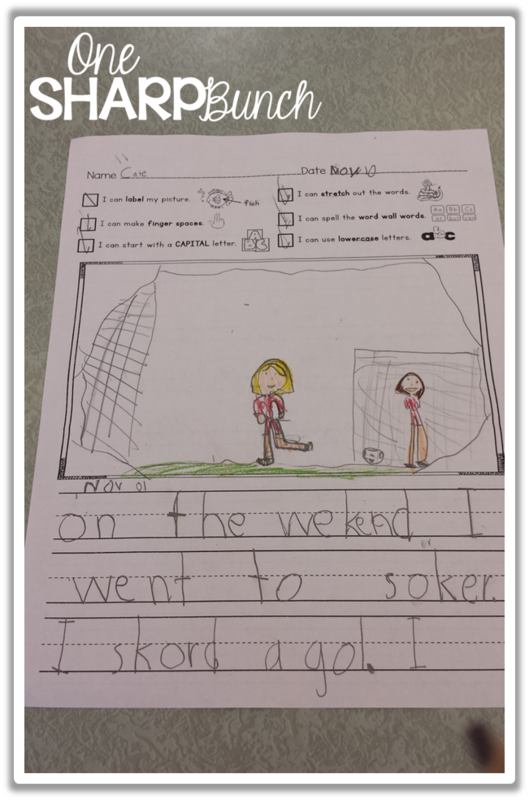 It was my mission to get my students to check or “edit” their pieces independently! 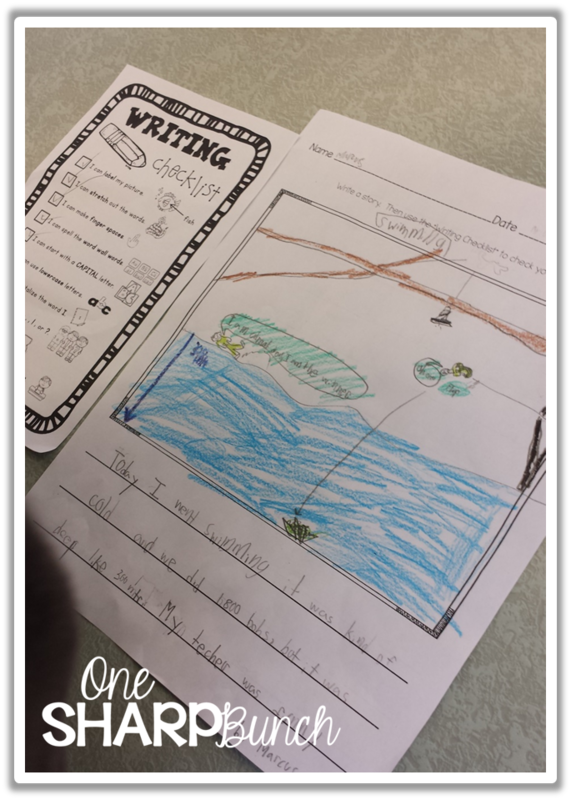 I took some time before school began to prep our writing folders. 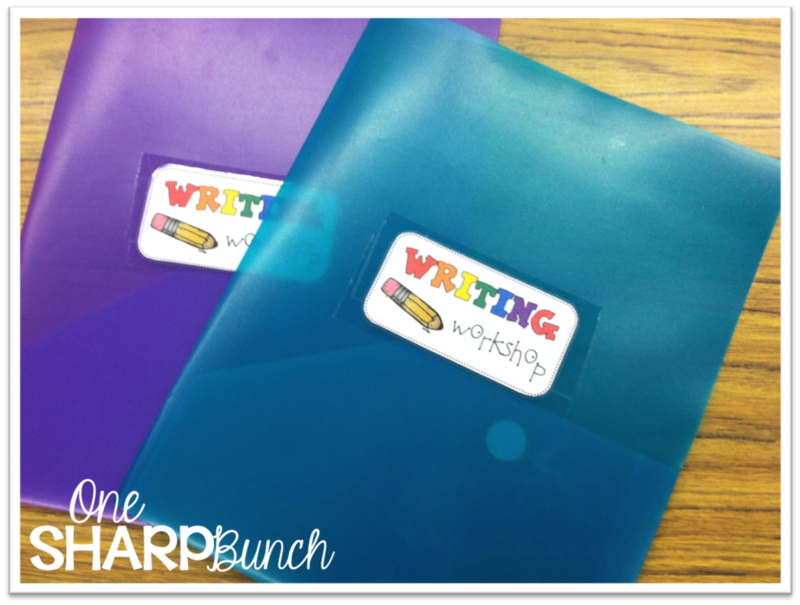 Each student has a folder labeled “Writing Workshop” and with his/her name. 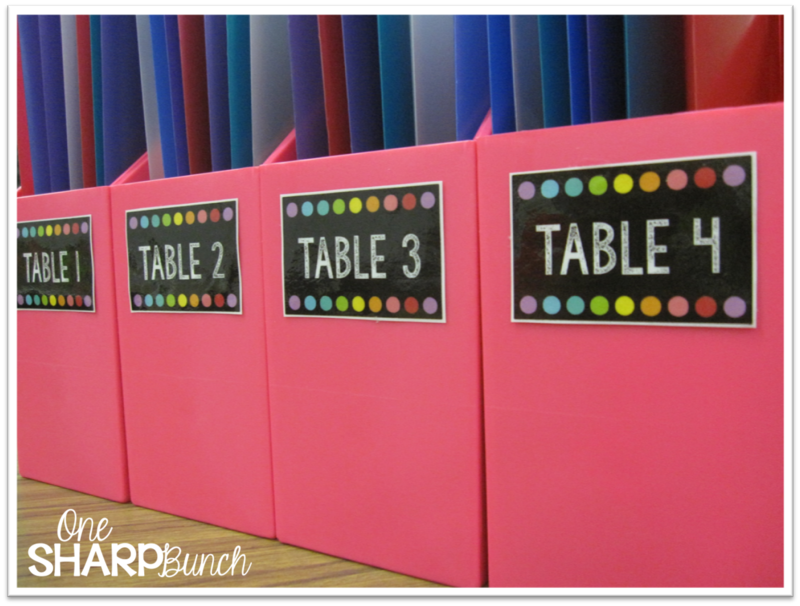 You can grab the “Writing Workshop” labels for free at the bottom of this post! 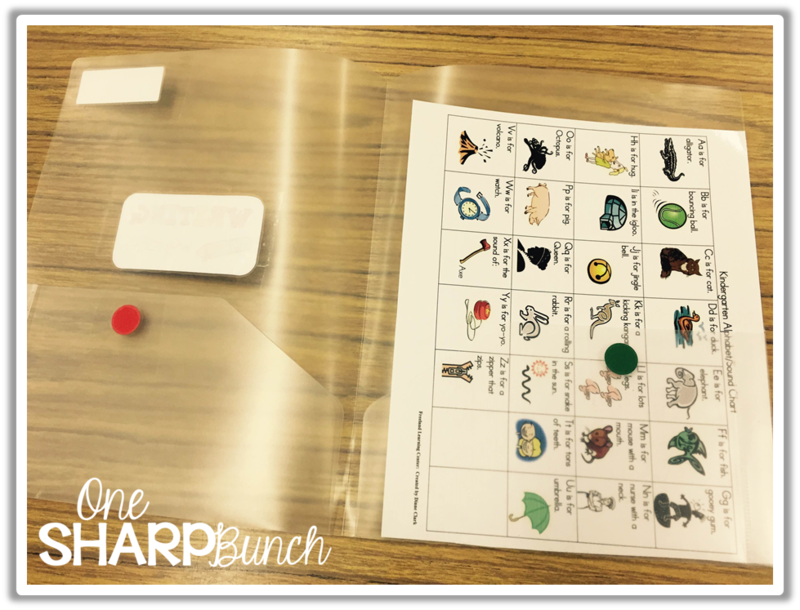 On the inside of the folder, we keep our alphabet chart… so that we can reference it if we need help identifying any sounds. We also have a place to store our finished and unfinished stories. This year, I purchased some magazine files from Romanoff Products to use as writing boxes for my table groups. I’ve also used cardboard magazine boxes, and they work equally as well. 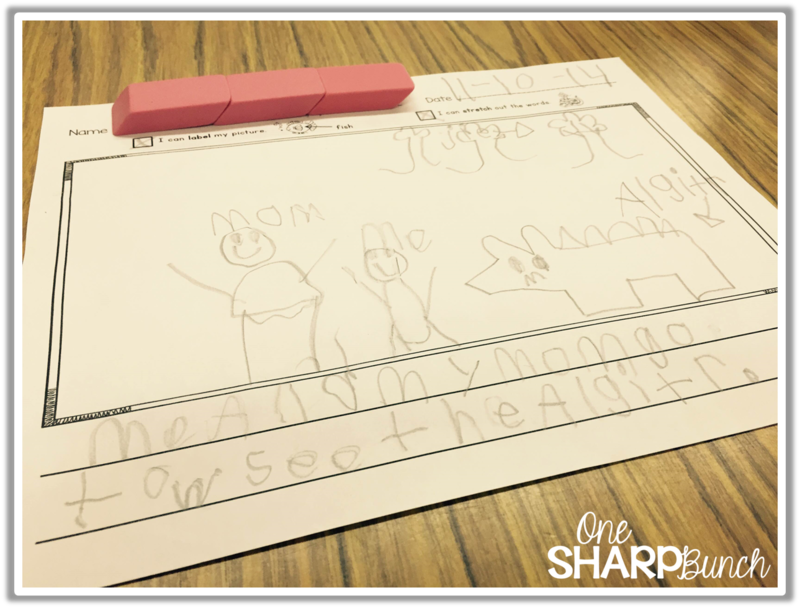 We begin Writing Workshop on the second day of Kindergarten, so we always begin by drawing just a picture of our story. Then, we move on to labeling our picture. First, with initial sounds, and then with all the sounds we can hear in the word. Having the checklist right at the top of our paper has really helped us become better at “checking” our stories! Plus, it keeps us on task! Every minute counts! This kiddo did an excellent job at labeling the pictures and stretching out the words! This is meant to be a “growing” checklist, meaning that I only start with one item on the checklist and will add more as the year progresses! Once I’ve introduced the first item on the checklist, I add it to my “Writing Checklist” bulletin board. The students will use the corresponding writing paper. Right now, we are working on telling our stories across the pages, making spaces between the words, spelling the words from the word wall correctly, beginning with a capital letter, and remembering to use lowercase letters for the rest of the sentence! Here’s what our “Writing Checklist” bulletin board will look like once we’ve added each of the checklist items! My kiddos get very excited each time we add a new check! Our friends over in the Bow Tie Guy’s wife’s class have been using the checklist to keep track of their individual goals. I loved this idea so much that I created a goal tracker component. I like to have my students choose the goal they feel they need extra practice with. We adhere this label to their goal tracker sheet which can be placed inside their folders for easy referencing… because we all know we need a little reminder to keep us on track and to motivate us to reach our fullest potential and then some! I can honestly say that this writing checklist has been a lifesaver! My kiddos can independently check their piece and get started on a new one, all while they are waiting for me to conference with them! Speaking of conferencing, I whipped up some new forms that I wanted to share with all of you! I use two different forms for conferencing. One is a class form (copied back-to-back) that I carry with me throughout the week. I keep it on my clipboard so that I can quickly take notes. The other form is a student form that I keep inside a tabbed binder. I use this form with kiddos who need more intense conferencing. Hope you can use them during your Writing Workshop time! 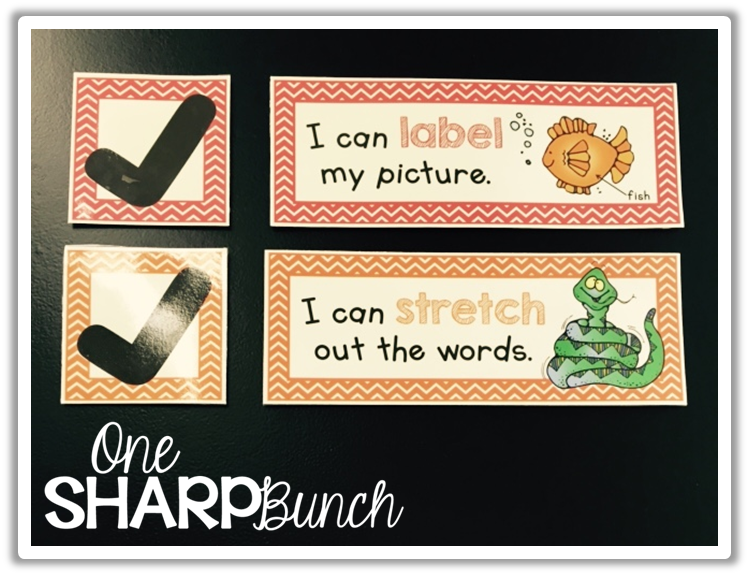 You can grab the “Writing Workshop” labels from my TpT store! Don’t forget to check out my “Writing” board on Pinterest! 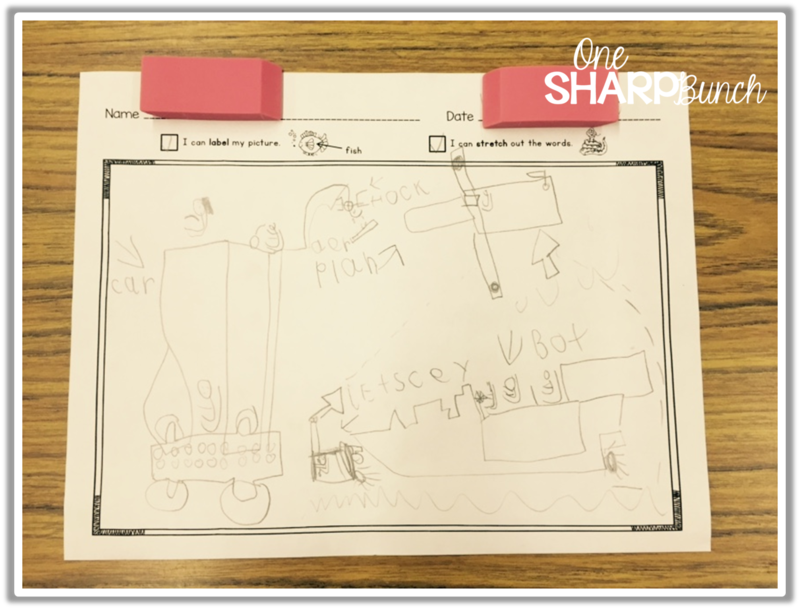 Follow One Sharp Bunch’s board Writing on Pinterest. Until next time…. happy writing! Looks like a great resource for my class. Can’t wait to try it, once I’ve bought it, have just added it to my cart now!! Thanks, Noleen! 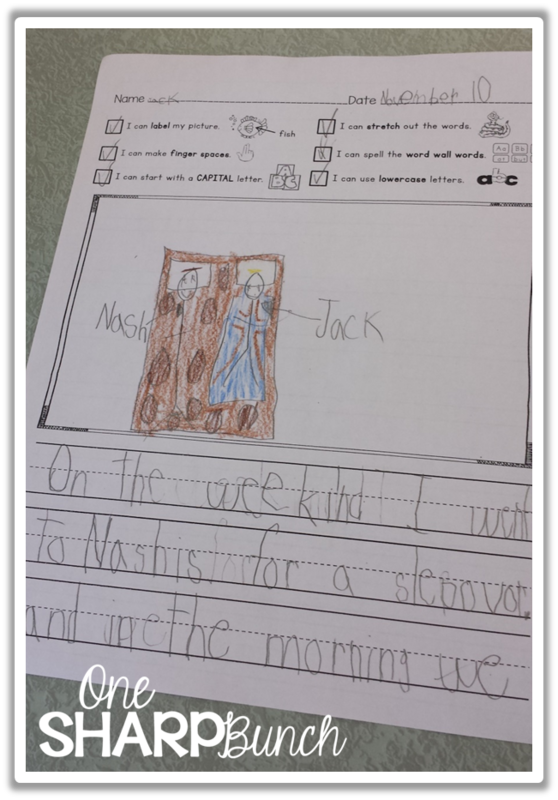 I hope the checklist helps your kiddos become independent writers!